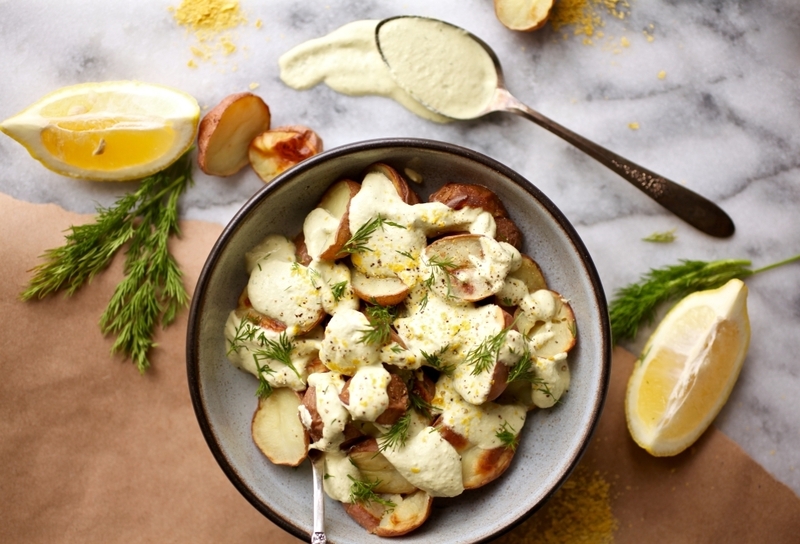 Comfort food is here to stay and there’s nothing more comforting than these delicious Creamy Cashew Lemon Dill Potatoes. The cashews will need to be soaked overnight, so do this ahead of time. Line a baking sheet with parchment paper and place the potatoes cut side down on the parchment. Roast the potatoes for 20 minutes, then flip and roast for an additional 10 minutes until browned and crispy. While the potatoes are cooking, make the dill cream sauce. Add the sauce ingredients to a blender and blend until smooth. Taste and add more salt pepper if preferred. 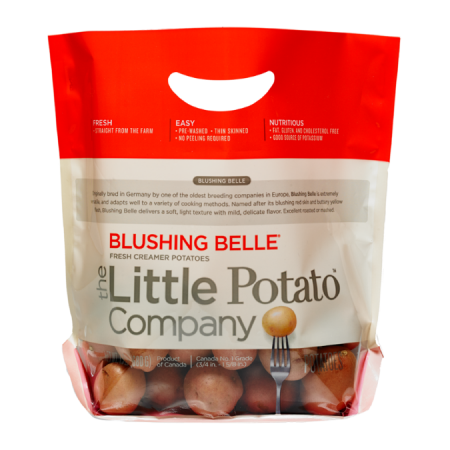 You may heat the sauce in a pan to serve warm over the roasted potatoes before serving or keep the sauce at room temperature and pour over the potatoes once they are done roasting. It’s up to you!